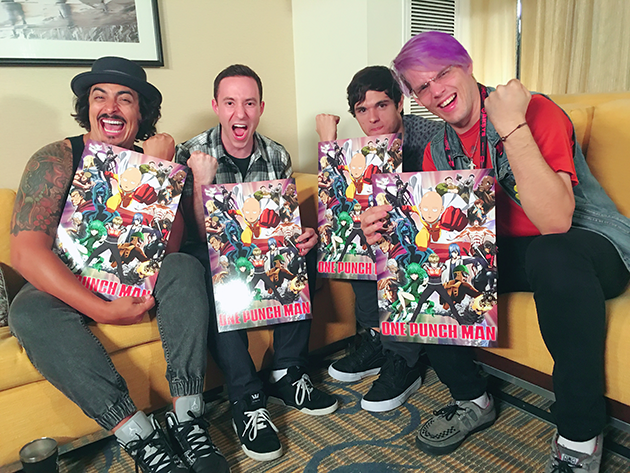 VIZ | Blog / One-Punch Man Is Coming to Toonami! 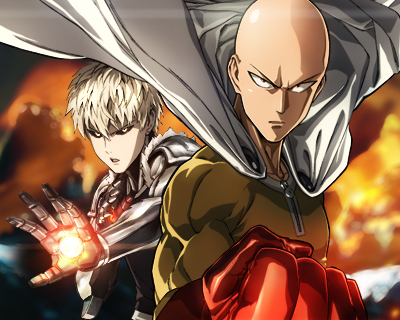 One-Punch Man Is Coming to Toonami! UPDATE with new cast member. Saturday nights are gonna get a lot more SMASHING starting July 16! Meet the English cast. Looks like we have one more cast member we're busting out a bit early because he can't seem to control himself! This one's definitely not getting out early for good behavior but we can't keep the news locked up any longer. Who could it be? 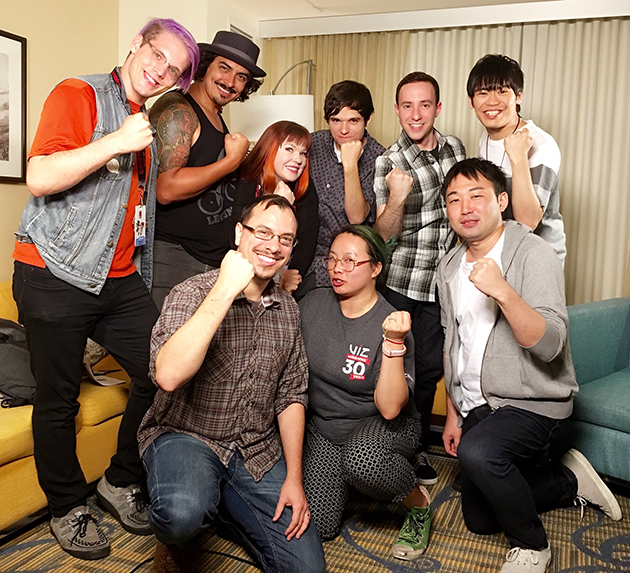 We had a lot of fun last weekend at Anime Expo hanging out with the staff and cast from the U.S. and Japan and everyone is super excited to be a part of this legendary series. You've already met some of the heroes last weekend, want to find out more people joining the cast? Let's review! Pretty awesome cast, huh? Did you catch that little nod to a certain other Shonen Jump classic in the casting of Vaccine Man? You see what we did there. We're still pretty early in the recording process, so we'll have more cast members as they are decided. 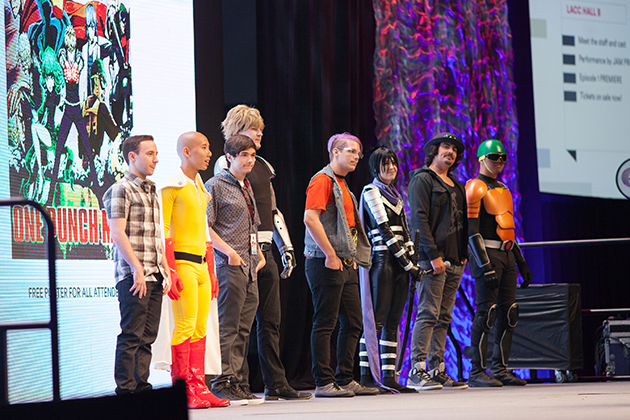 We're also happy to announce that the English voices of Saitama, Genos, Speed-'O-Sound Sonic and Mumen Rider will be coming to the East Coast's largest anime convention, Otakon, in lovely Baltimore, MD August 12-14, 2016. Stay tuned for more details as we get closer to the event and find out how YOU can snag one of these sweet posters! You can see everything ONE-PUNCH MAN on our dedicated VIZ.com page, including free streaming episodes of the Japanese original (with English subtitles), and free chapters of the bestselling manga that inspired the anime. 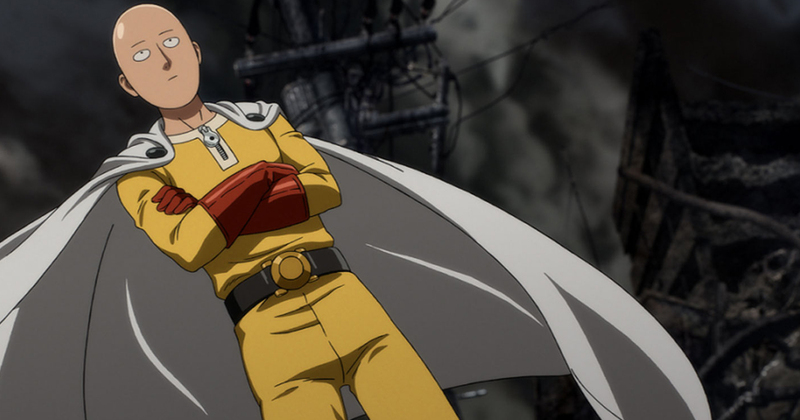 Who is your favorite hero in ONE-PUNCH MAN?